No more train crashes & rail deaths! Another victory against job losses in Bhisho! On 31 October, 54 outsourced security workers working at the Eastern Cape Department of Roads and Public Works had their contracts terminated. Many had worked at their posts for more than 6 years and were suddenly without jobs because a tender had been awarded to a new company. Like in many other cities and provinces, thousands of security workers are employed by private security companies but are effectively working for the Eastern Cape provincial government. In protest workers planned an occupation of the offices of the Department of Roads and Public Works in Bhisho to force management to the negotiation table to win back lost jobs as well as to recoup stolen wages never paid by security companies. Workers also want to be directly and permanently employed by government and paid a living wage. On 27 November, workers entered the offices and refused to leave until management addressed their demands. Despite threats of arrest and police arriving at the offices, workers refused to leave until management agreed to meet them. 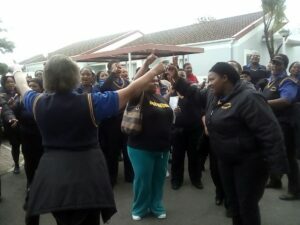 On Tuesday, 28 November, workers returned to the offices for management to address their demands. 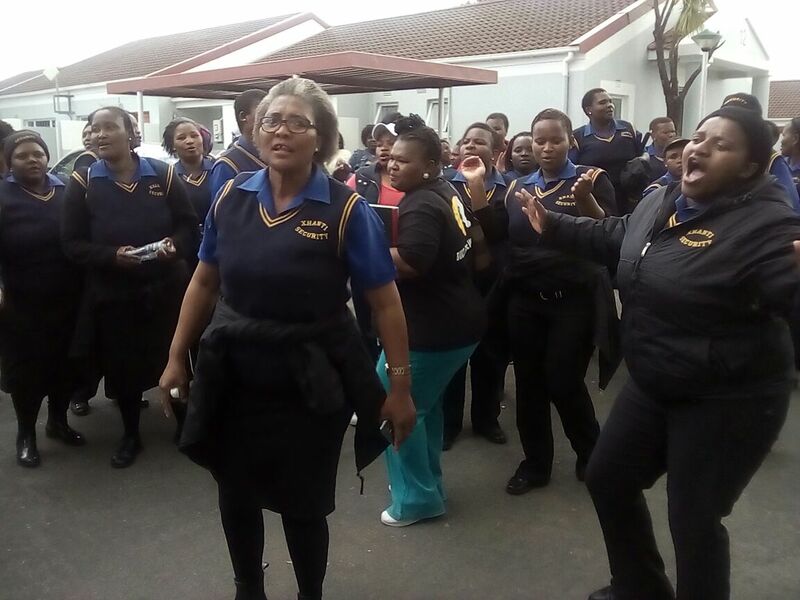 After 2 days of protest action, workers won important victories at the Eastern Cape Department of Roads and Public Works. All unpaid wages owed to workers will be paid. 40 retrenched workers have been reinstated. Management have agreed to look for other sites for the remaining 14 workers. Workers are determined that they will not give up until all workers are reinstated and outsourcing is ended once and for all. Part of this work must be the launch of a national campaign to end outsourcing in the public sector. Most workers involved in #Outsourcingmustfall are in the public sector – in workplaces that are funded and directly under the control of the national government in one way or the other. We must demand that national government end outsourcing in their workplaces! This is a struggle we can win, but only if we organise and mobilise every outsourced and labour-broker worker. This is how victories were won at the Eastern Cape Department of Roads and Public Works, PRASA and at universities in Tshwane where workers are now being insourced. If we continue to organise and mobilise outsourced and labour broker workers as well as permanent workers earning poverty wages, we can embark on a campaign of rolling mass action – marches, pickets, strikes and occupations– and win permanent jobs and a living wage of R10000 for all. 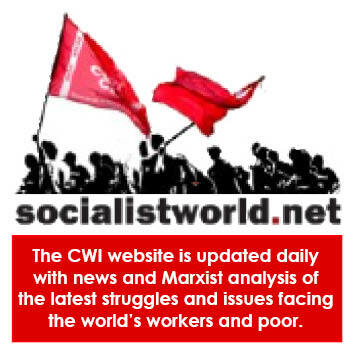 UPDATE: Since publishing all 54 workers have been reinstated at their posts. The remaining 14 workers started work again on Wednesday, 6 December. Posted in Articles | Comments Off on Another victory against job losses in Bhisho!